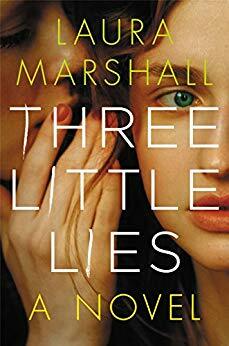 Three Little Lies is more domestic suspense than edge of your seat thriller. It's also got a decent amount of courtroom drama and loads of secrets. Seems everybody has a secret, some big, some small, but all of them lead to the missing Sasha in one way or another. In all honesty, I tend to prefer the edge of your seat stories, but there was something about this one. Whether it's the writing style, the characters, the storyline, or a mix of all three, there's just something compelling about the story with its ever present tension and suspense just under the surface of it all. So, while it didn't keep me on the edge of my seat, and some things were rather predictable, the story still kept me turning pages to see how it would all play out. It's a tale of love, friendship, obsession, betrayal, broken trust, redemption, and a bit of justice. The story is very well written and this may be my first read by Marshall, but it won't be my last.